Summer is a time for sun, fun and relaxation. As the dog days are upon us, why not escape the heat and jump into some light and breezy summer VR experiences available on Viveport. Nothing’s more refreshing than enjoying some delicious summer fruit on a hot day. Even better when you get to slice it yourself with a katana blade! The colorful and addictive fruit-slicing action game is now more tactile and fun than ever in Fruit Ninja VR. Show that produce who’s boss by slicing and dicing at every angle in a variety of environments, doing your best to avoid pesky bombs. Fruit Ninja VR is a great summer party game, playable at all ages and skill levels, and is way less messy than making your own fruit salads. No summer vacation would be complete without a trip to an amusement park! Sugary treats, challenging games, and lots of adrenaline pumping rides, it’s all part of the quintessential summer experience. 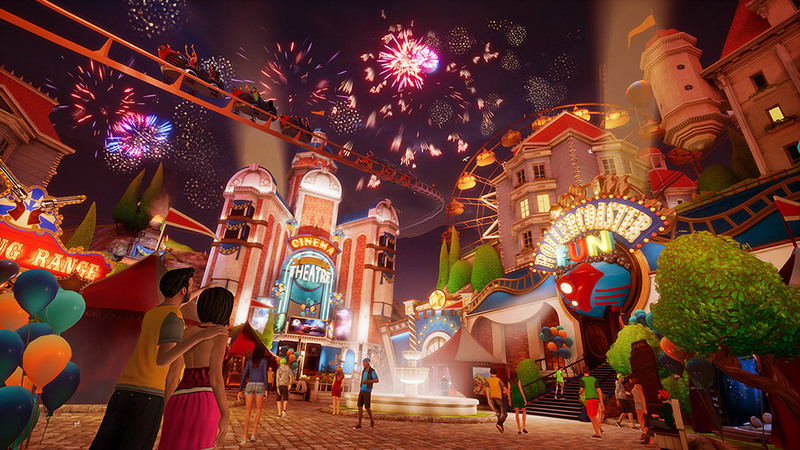 In Summer Fun VR, you can have the full theme park experience at a fraction of the cost. Avoid the lines, sunburns, and aching feet and enjoy a variety of thrilling park experiences, including roller coasters, carnival games, and more in this colorful virtual wonderland. Minigolf is a classic summer vacation activity – the plink of the putter as you make your go for broke shot through windmills and water hazards is a classic summertime memory. Take to the virtual green and challenge friends in a variety of seasonal themed courses in Cloudlands VR: Minigolf. Featuring local and online multiplayer, as well as leaderboards to pit yourself against the world, Cloudlands VR offers a lot of putting for your buck. A Course Editor mode expands things further, allowing you to make the most challenging and ridiculous courses you can think of. Historically, summer jobs were the necessary evil to fund those awesome vacation activities. In the wild and wacky fruit-em-up Shooty Fruity, you’ll get more blood-pumping excitement than any normal gig bagging groceries. Sentient produce are storming your local supermarket, and they mean business! Use your multitasking skills to scan groceries for customers while sharpshooting at the bloodthirsty horde marching ever closer. Earn promotions, unlock new weapons, and fight back against the juicy menace. All in a day’s work! Greenlit gives Shooty Fruity ‘5 stars’, calling it “essential to your Vive collection”. Visit one of nature’s greatest wonders and make new vacation memories without ever leaving your home in The Grand Canyon VR Experience. 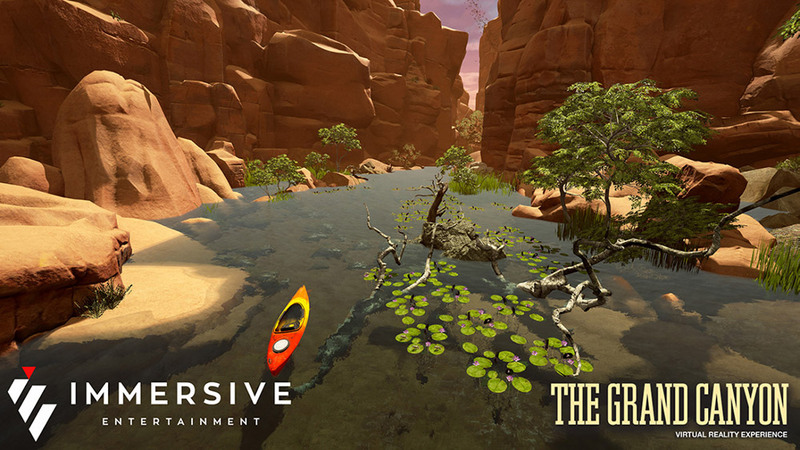 Take in breathtakingly authentic scenery of an iconic American vacation destination as you kayak through the heart of the canyon, featuring procedurally generated wildlife and a shifting day and night system. It’s the most relaxing way to experience the splendor without giving up the comforts of civilization. Beat the heat and chase away those summertime blues with some awesome experiences on Viveport. Share your favorite virtual vacation activities in our Community Forums!